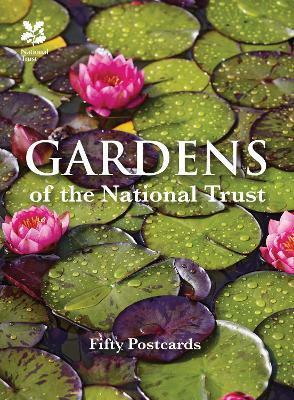 The National Trust cares for the finest collection of gardens in the UK, and these 50 postcards show some of the most beautiful. From the dense colour of cottage gardens and the geometric perfection of knot gardens to the sweeping grandeur of Capability Brown's vistas, there's a perfect card for every occasion. Founded to preserve and provide access to places of natural beauty or historical significance, the National Trust is one of the world's leading conservation organisations dedicated to preserving Britain's landscape. From ancient forests to historic houses and gardens, the Trust looks after more than a quarter of a million hectares of land, including over 770 miles of coastline and thousands of archaeological monuments across England, Wales and Northern Ireland.